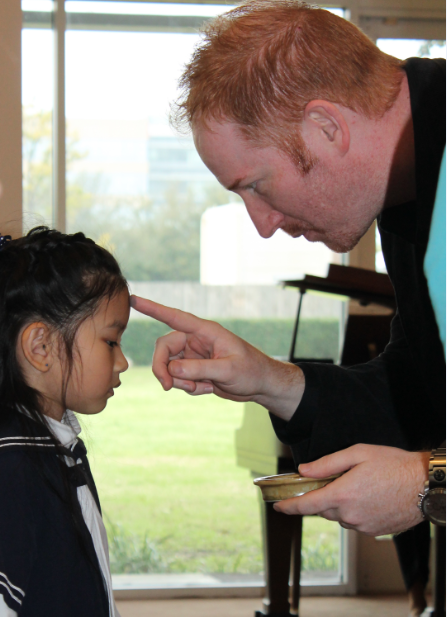 How would you respond when your child asks, “What is that?” as she points to the ash-drawn cross on your forehead? Instead of just saying, ‘It’s a cross,” why not explain why there are ashes on your head or why you participate in the observance of Ash Wednesday? Use the information below to make this a smooth, age-appropriate conversation about a very special day in the Church. Background: Ash Wednesday is the day that begins Lent. It is called Ash Wednesday because in many churches a cross made of ashes is drawn on the foreheads of people who attend a special service on Ash Wednesday. The idea of using ashes comes from the Old Testament practice of dressing in sackcloth and sitting in ashes as a sign of grief or repentance to God. Ash Wednesday signifies the beginning of Lent, the season of preparation for Resurrection Sunday. Lent is a time when people repent of (or turn away from) their sins and sacrifice to emulate the sacrifice that Jesus gave when he died on the cross. People often give up something that they enjoy during Lent. They do this to demonstrate a sorrow for the sins that they have committed and to commemorate Jesus’ sacrifice of his life. During this time, they should remember Jesus’ sacrifice. Activity: Ask your children what they love. They may respond with names of family members, gaming systems, pets, or favorite foods. Explain that God loved people so much that He gave up something (His only son, Jesus) for people. He allowed Jesus to live on Earth with people, to help people, to teach people, and eventually to die for people. Explain that on this day, Ash Wednesday, it is a time to show God how much we love Him. Ask what sacrifice means. Sacrifice means giving something up. It’s easy to give up something you don’t really like, like broccoli or homework. But sacrifice is when you give up something you love. On Ash Wednesday, Christians around the world make a choice to sacrifice something for 40 days until Resurrection Sunday (Easter). Some give up their favorite foods, some give up television or game time, and some give up other things that are special to them. Sundays are mini-celebration days, so on Sundays you can use or eat the thing you sacrifice. During Lent, let’s give up some things that are special to us. As a family, discuss some things you might want to sacrifice and what you might do to show God that you love Him during the time you might have used or eaten the things you love. Here are a few examples of things to sacrifice: television time, gaming time, music in the car, favorite soft drinks, desserts, etc. Here are a few examples of things to do to show God that you love Him more than the things you sacrifice during Lent: pray, read your Bible, help someone in need, etc. Prayer: God, thank you for sacrificing your son, Jesus. We love you more than our favorite things, so we will sacrifice those things during Lent. Please remind us to be strong and to show our love to you more than we love other things. In Jesus’ name, Amen.